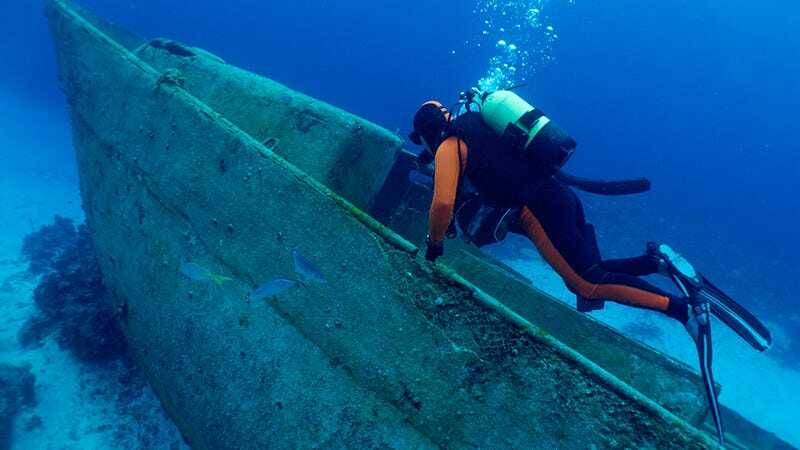 Should We Mine Ancient Shipwrecks to Push Science Into the Future? We humans are a sentimental horde, which is why we get squeamish about places where people used to live, and places where people bit the dust. But how much should we value preserving the past when it impedes our ability to move into the future? The battle over the fate of a few long-shipwrecked vessels is forcing us to confront some uncomfortable questions about progress. Lead is, in principle, a shield against radiation, but freshly mined lead is itself slightly radioactive because it contains an unstable isotope, lead-210. "We could never use it for our experiment, which is exactly about keeping background radioactivity to a minimum," says Ettore Fiorini, a physicist at the University of Milan-Bicocca and coordinator of the CUORE experiment. After it is extracted from the ground, however, lead-210 decays into more stable isotopes, with the concentration of the radioactive isotope halving every 22 years. The lead in the Roman ingots has now lost almost all traces of its radioactivity. For these experiments, shielding against radiation is essential and laboratories are established underground as a first measure against cosmic ray radiation. More particularly, Gran Sasso is located 1.4km below the surface. However, additional shielding is necessary. Lead is an excellent shield against external events since it has the highest atomic number of all stable elements. However, freshly mined lead is polluted by naturally radioactive elements. By chemical means all of these elements can be greatly reduced below the sensitivity of the detectors, but not enough for experiments like the ones performed at Gran Sasso. So shipwrecked lead is definitely useful. Really, the question is whether—and how—the lead should be extracted and used. Politicians are involved because most shipwrecks occur within what's internationally recognized as a country's property. So if private treasure hunters dive and plunder the loot without permission, they're violating the law; they're stealing. Research institutions have "unknowingly" purchased plundered lead for the use in experiments. A related complaint comes from archaeologists who want to make sure that the sunken boats are properly studied and preserved for future analysis. Shipwrecks are an excellent source of information about the past because materials like wood, textiles, and even human hair get coated in sea sludge and don't decompose underwater. The political issue seems easy enough to circumvent—so long as the precious lead is recovered under the watchful eye of the correct bureaucracy, and the right government gets what they think they deserve, there shouldn't be a problem. And there wouldn't be, if the the archaeologists can be convinced to relent on some of their demands for preservation.